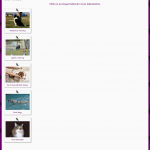 Four Footed Fun is a brochure type website. It uses the Mantra theme and is built on the WordPress platform. 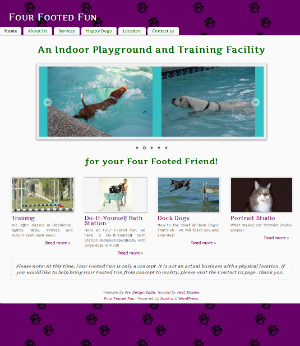 Click here for a complete look at the design of the Four Footed Fun website. Click here to go back to the portfolio.